This is one of four terrestrial Cherax crayfish that the ACP is researching. Cherax sp 1 from the Murray River is currently under description. 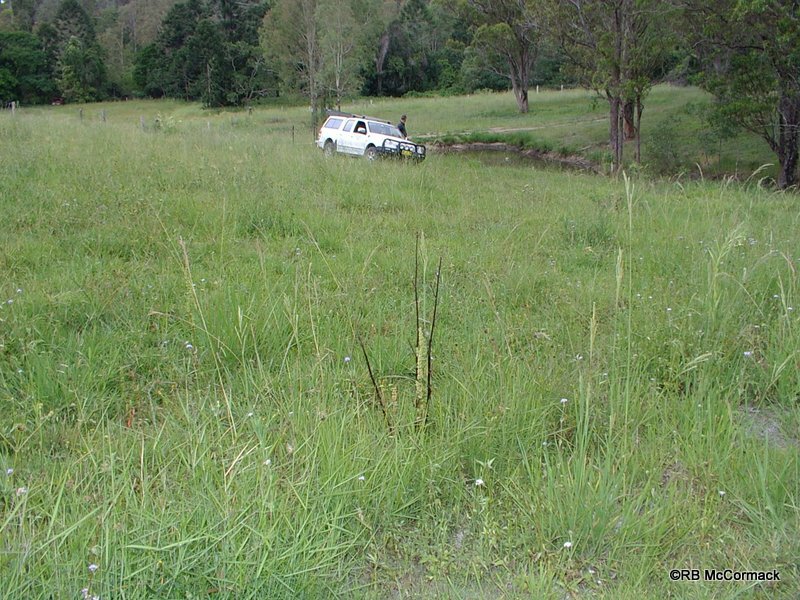 Cherax rotundus from Fletcher Qld has had 2 papers published and research is ongoing. Cherax setosus from the Newcastle region NSW has just been redescribed and that only leaves Cherax punctatus. All Queensland Cherax species are currently under review by the ACP with a full review and revision of all species is due by 2013. 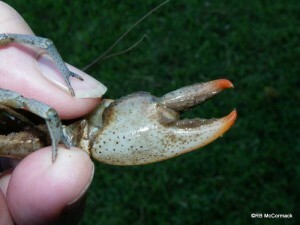 Cherax punctatus is a little known yabby from Queensland. There is next to nothing known about this species and as part of the Australia Crayfish Project we are researching this amazing species. 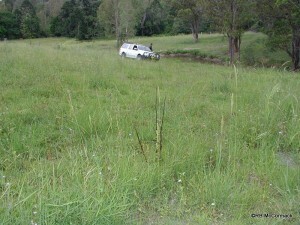 One of our research sites is a colony of C. punctatus at Moy Pocket near Gympie Queensland. The colony is on the side of a hill in a grazing paddock, there is a small stream at the base of the hill with a small farm dam constructed on the stream. This is Mary River drainage and the normal Cherax species in most of the creeks and streams in the area are Cherax sp 3. These are a species that was formally known as Cherax cuspidatus but now thanks to DNA analysis are classes as a new species with C. Cuspidatus now stops at the Tweed River. 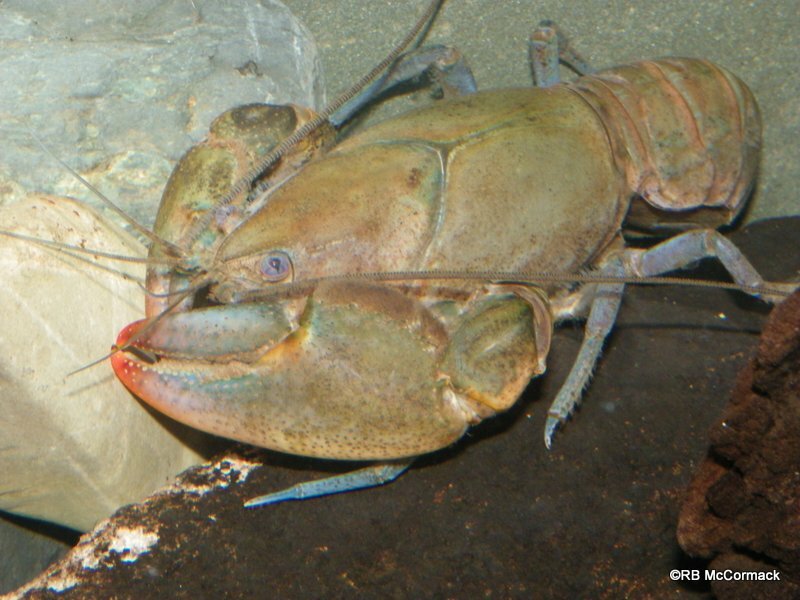 Cherax punctatus will use streams but are not usually a stream crayfish. They have been referred to as a terrestrial crayfish and that’s where this colony was; well away from water, on the side of a hill, beneath grazing pasture. Looking down the hill. 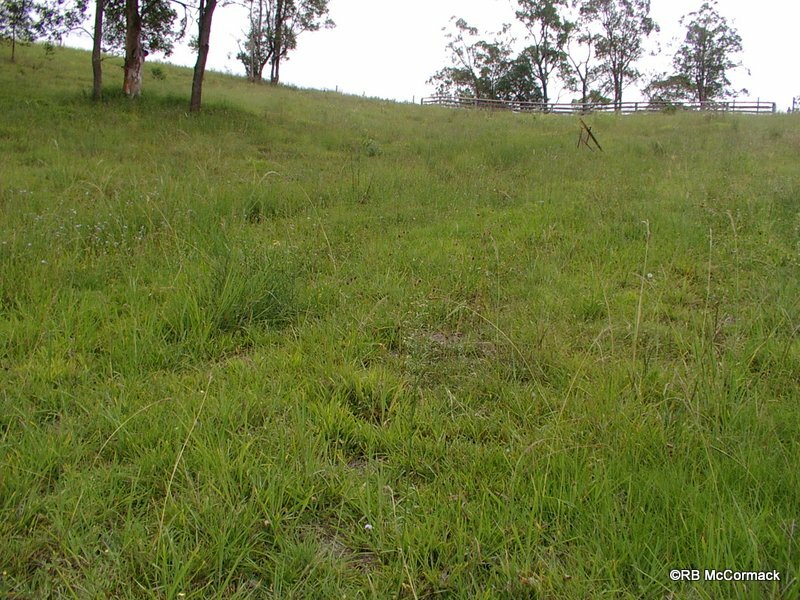 The colony starts in the grass on the side of the hill at the car just above the farm dam and small ephemeral stream at the hills base and the hillside is riddled with burrows to the camera position. 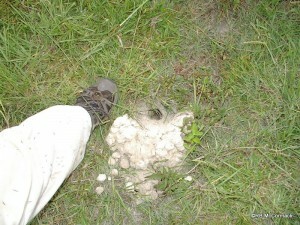 The colony was discernable by the large amount of burrows riddling the hillside, these were scattered over a wide area with large amounts of freshly excavated clay indicating their presence. We attempted excavation of the burrows but at the time we were there the ground was dry and rock hard making excavation with hand tools far too difficult. We will be back continually over the next 2 years gathering biological information and during the next wet conditions we will excavate to gather burrow information. The underside of the claws are setose, though this specimens is not overly so. we have these all through our orchid in Eerwahvale, but do not catch them in the creek!